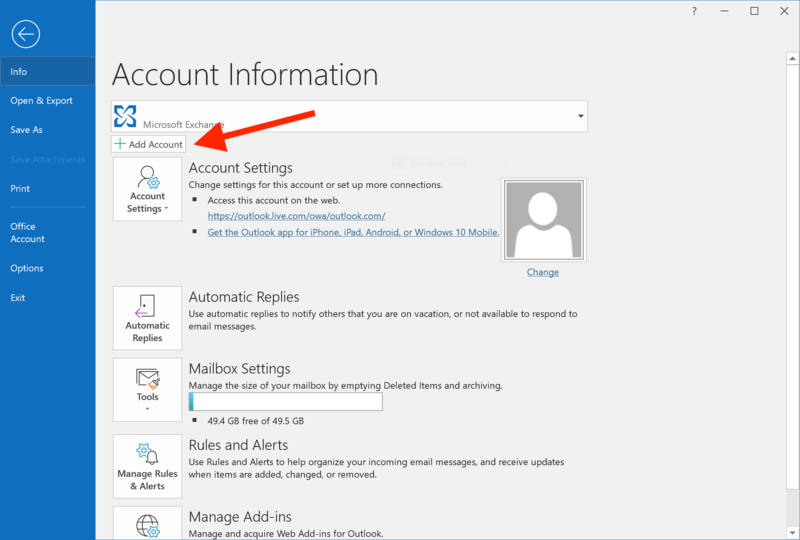 Set up a hosted email address. Open Outlook. 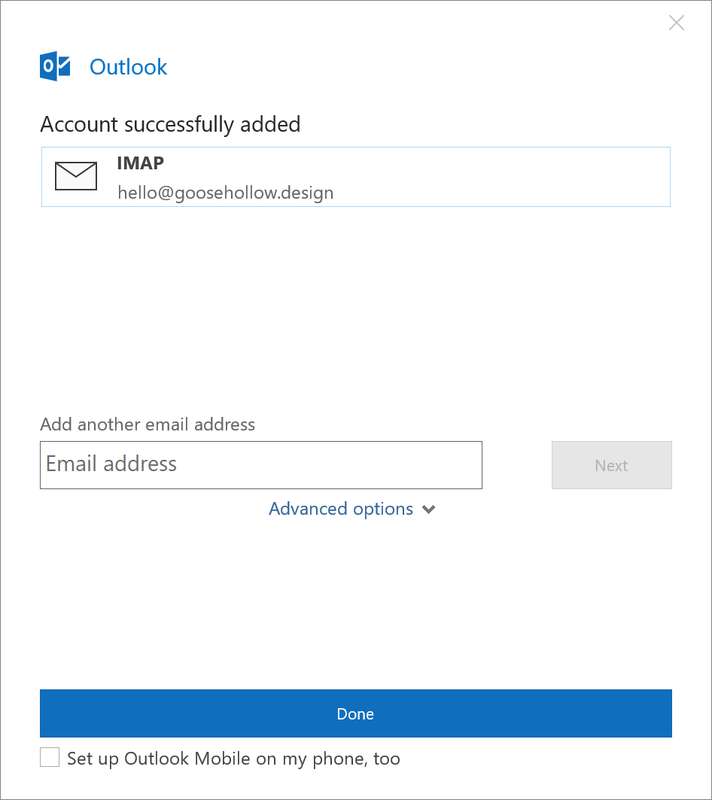 Click the "File" menu, select "Add Account." 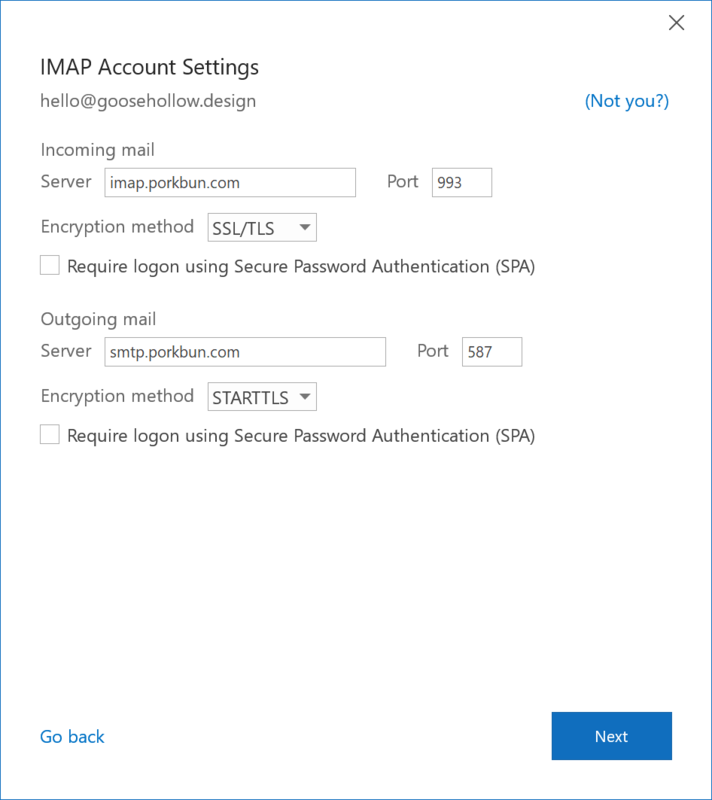 On the pop-up screen, type in your Porkbun email address, click "Advanced Options", and check "Let me set up my account manually." Click "Connect" to continue. 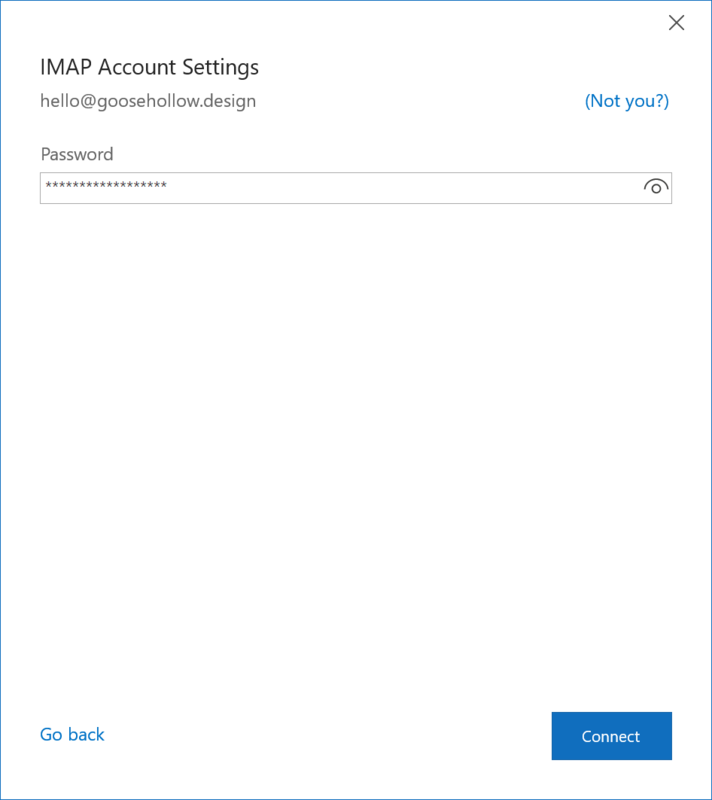 Type your password and click "Connect." Click the "Done" button to complete the setup. That's it! 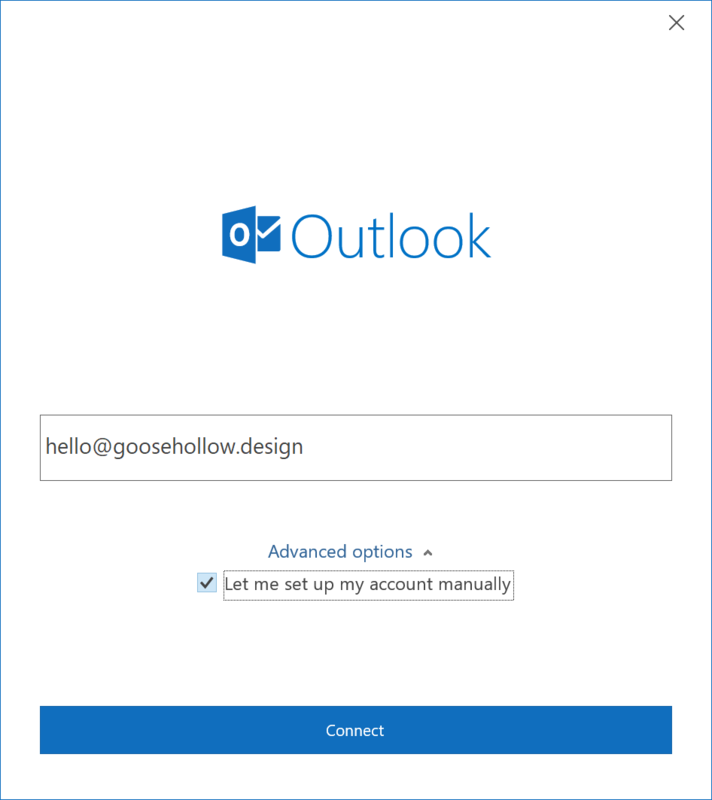 Outlook for Windows is now configured to send and receive from your custom email address. 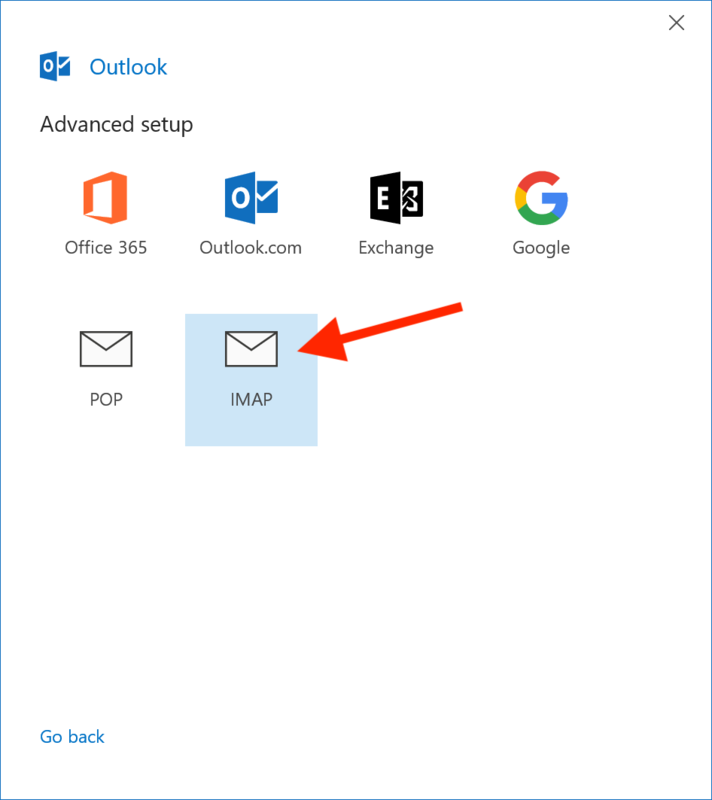 *These instructions were made using Microsoft Outlook 2019. While these settings should work for older versions, the interface may look different from the screenshots we provide here.